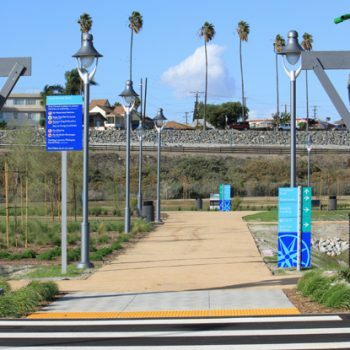 The 20-acre waterfront beautification project was designed as a natural green space passive park and an integral part of the Port’s Waterfront Promenade Enhancement Concept. 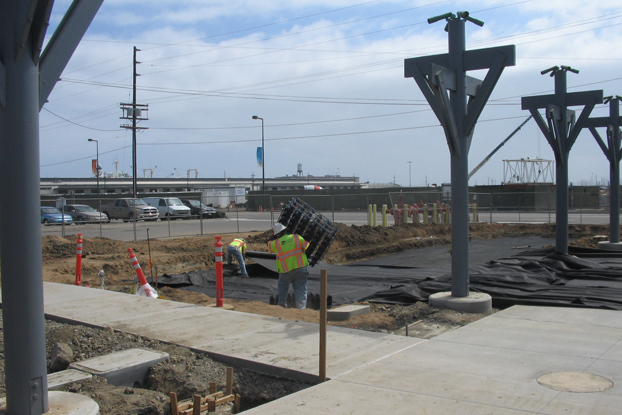 The site is across from the Cabrillo Marina, adjacent to wharf warehouses and residential neighborhoods and once was the home to an active oil tank farm. 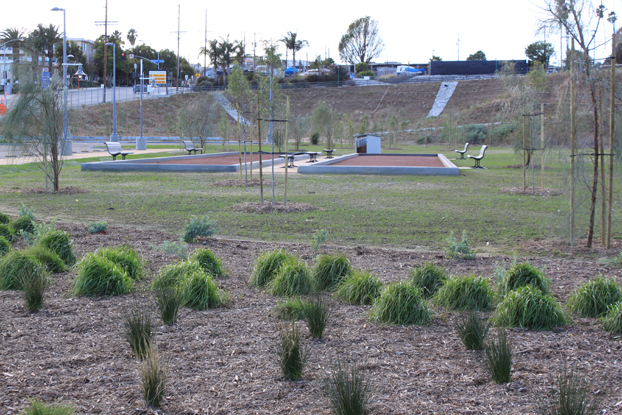 The new park goes a long way to provide a natural environ for local residents and visitors to interact in the bustling Port area. 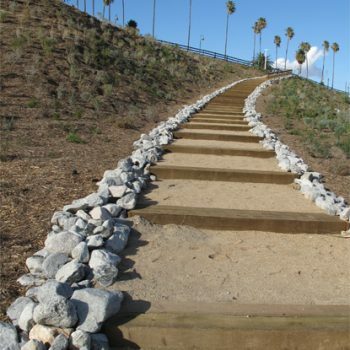 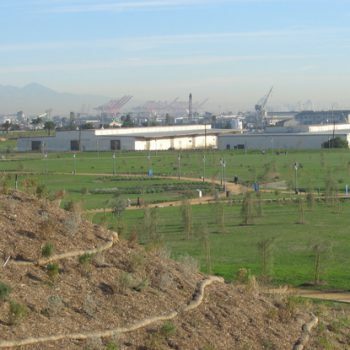 Griffith Company transformed the park area by installing a web of decomposed granite walking paths that service five acres of multi-use play fields, bocce ball courts, a natural meadow, and a restored native marshland. 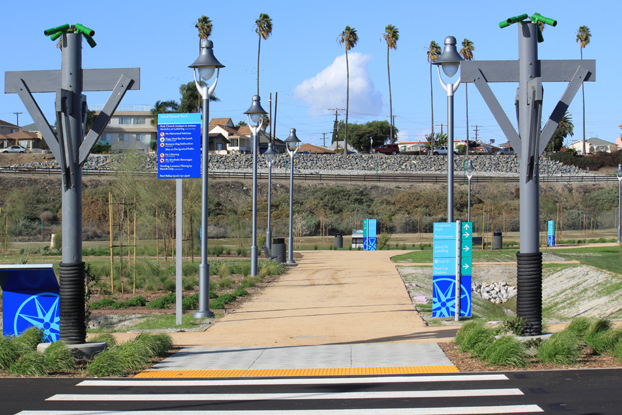 Educational signs inform strollers about local species of animals and plant life including dozens of native plantings designed for low water use. 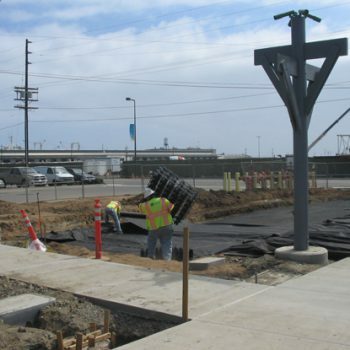 In keeping with a sustainability theme, our crews created a bioswale collection system designed to contain all storm water runoff within the park. 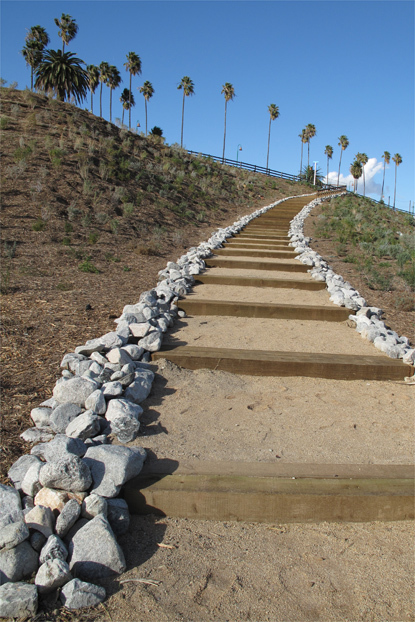 In addition, we installed a Rain Store Water System to take the collected runoff and recharge the natural aquifer. 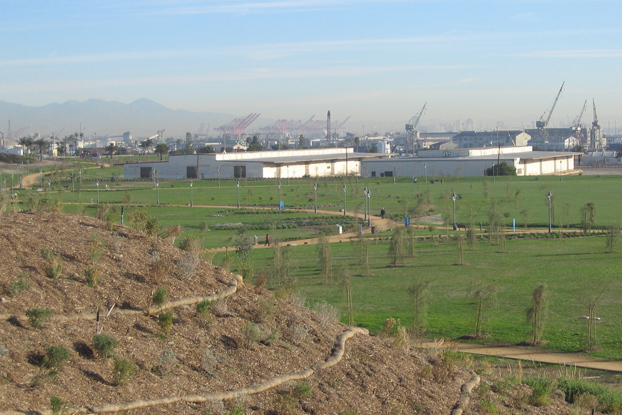 For conservation, we installed a computer-controlled irrigation system that enables the Port personnel to adjust water usage ifrom their desktops. 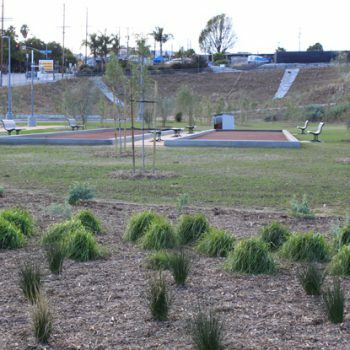 We’re proud to provide the community a visually appealing, sustainable park project that transforms an area that has been steeped in blight.